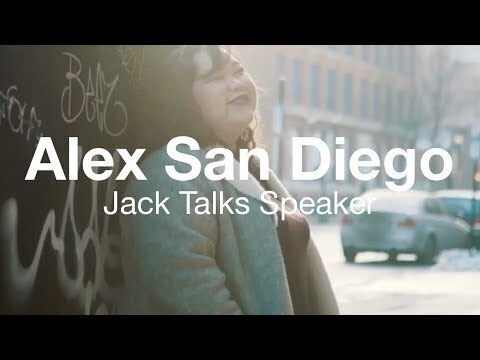 Meet Alexandra San Diego, Jack Talks Speaker in Edmonton, AB. Meet the revolution. This is Alexandra San Diego. Alex is a Filipina-Canadian who was born and raised in Edmonton, Alberta. She recently graduated from the University of Alberta with a major in East Asian Studies. Alex believes in using the power of conversation and communication to make the world a better place and applies this belief in her approach to mental health advocacy. She loves learning about different cultures and languages. You can often find her Snapchatting food adventures with her best friends, live-tweeting Oilers games, or travelling all over the world to see new sights, eat good food, and watch K-POP concerts.